Proton Wira is a Malaysian-made four-door saloon and four-door hatchback in 1993. 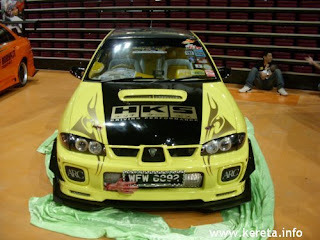 Below are photos of some very heavily-modified Proton Wira. First look gave me the impression of a very clean car, second look caused me to link it with space ship. i actually like proton wira coz it's very spacious and it has been my family's car for the past 12 years. Gosh they look good. Bet they're equally nice to drive =). 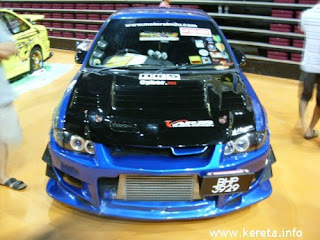 woah, never expect that proton cars can be so cool! 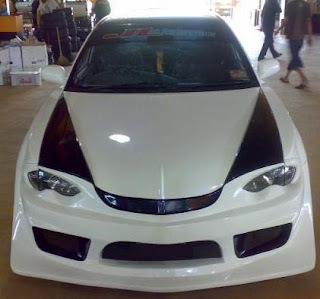 peter.. u guna wira 1.3 memang minyak kuat.. kalau 1.5 or 1.6 ok.. body berat tp power kurang tat's why minyak pun kuat.. upgrade la bro.. sementara kedai potong masih ada.. nanti 2011 suda tak ada woo..
renaye.. u r absolutely true.. especially sedan.. very2 spacious.. 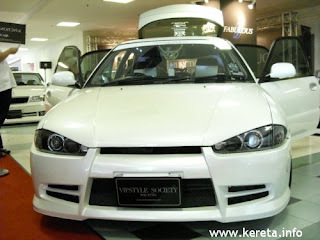 I got a proton wira..juz ny afta spraying bak everything..now i want 2 modify de whole car bt im out of ideas..if anybody can give me gud ideas i would appreciate it..i want 2 do from front until back..
Wow! Thanks for posting this beautiful pictures! Keep on posting and keep up the good work!